The 4th annual California Boating Congress will convene on March 6 at the Embassy Suites Sacramento Riverfront Promenade hotel in Sacramento, California. 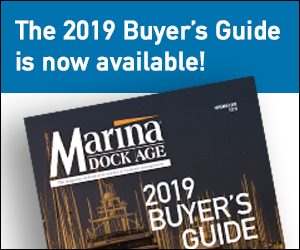 The event, sponsored by the Marine Recreation Association, brings together the marine industry and boating community to advocate for issues affecting this industry and chart the future of boating policy in California. Keynote speakers and a summary of legislative issues will be featured, along with breakout sessions focused on key issues, and legislator meeting instructions. Following, attendees will proceed to the state capital for meetings with individual legislative representatives. Opportunities to meet with state representatives will be scheduled by organizers, and early registrants will get priority for scheduling with their state legislators. This year’s Congress is being co-hosted by twelve other boating related groups, including the California Yacht Brokers Association, National Marine Manufacturers Association, California Marine Affairs and Navigation Conference, Boat U.S., Personal Watercraft Industry Association, California Sportfishing League, California Delta Chambers & Visitors Bureau, Recreational Boaters of California, Bay Planning Coalition, Sacramento Valley Marine Association, California Association of Harbor Masters & Port Captains, and the American Boat Builders & Repairers Association.